Koko the baby Zebra has been kidnapped! 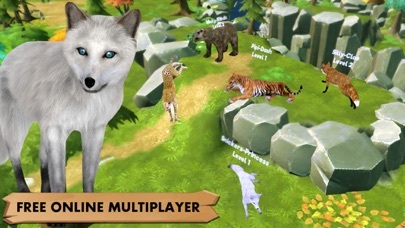 Embark on a multiplayer voyage to rescue a wild lion, tiger, wolf and other zoo animals in this adventure simulator game. Jam on, you're a star! 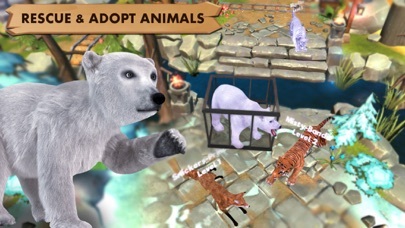 Once you rescue them, they are all yours to role play with & adopt - your very own secret wild pets! 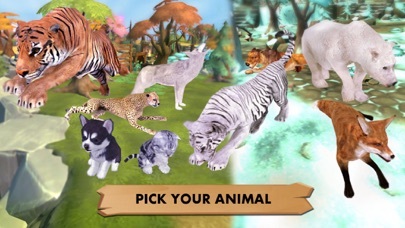 Rescue Lots of Cute Animals: Rescue and role play as a wolf, lion, zebra, bear, cheetah, fox, eagle or even a saber tooth tiger! 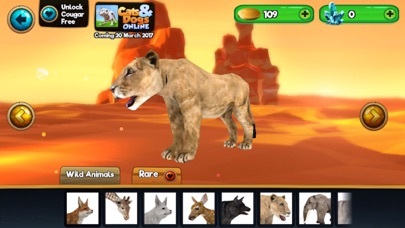 Also discover and adopt rare animals you will fall in love with - just play this fun simulator game and see! There is even a cat and a dog for you to rescue! Explore a Beautiful 3D World: Explore the secrets of Wonder Springs, filled with secret areas and hiding spots! Wonder through the Jungle, Desert and If you're brave enough, take your wild pet into the winter wonderland and explore the snow capped mountains with your online friends! Meet Friends & Chat: You can even gossip to your online friends in chat as you role play! Join an Adventure: Level up your animal by completing fun missions that bring you closer to rescuing baby Zebra Koko. 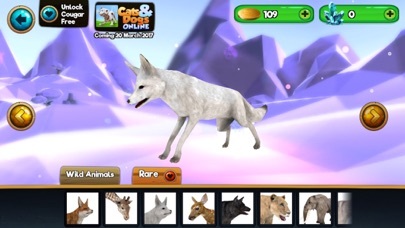 Hunt for food, find a missing cat and dog, feed the animals, and find a way to release them from their cage! Personalize and Customize: Choose a name that shouts out what you are all about, and then choose cool effects for your pet! Updates: Foxie Games are planning lots of stable updates to make the game even more fun. The world will get even bigger and there will be lots more animals to rescue, adopt and role play with! Play for Free! You can play through the whole game without paying any real money! However, like all our games, My Wild Pet is free to play, but it contains upgrades that can be purchased for real money. By I Love my mom. I Love this game because when you free animals you get them every day. I think this game is fun just one thing. I only said this because it said “don’t worry we have more missions! Just go to the AppStore rate, and write a review!” So yeah that’s why. I really like the game but you can only play like five missions per day and if you want to play more you have to either get a bunch of coins or pay like $15 so that’s why I’m only giving it three stars.